When Carol Blanchette becomes director of the NRS’s Valentine Eastern Sierra Reserve July 1, when longtime reserve director Dan Dawson retires, this Jersey girl will be far from the ocean waves that first inspired her to become a scientist. In other ways, moving to Mammoth Lakes for Blanchette means coming home. She and husband Steve Morando have owned a house in the Eastern Sierra for nearly a decade. Then in February 2015, an epic windstorm broke off a tree branch that ignited on a power line. The resulting Round Fire engulfed nearly 40 houses and charred 7,000 acres within a few hours. Blanchette’s house in Swall Meadows, a small community halfway between Bishop and Mammoth, burned to the ground. That sunny outlook, coupled with a voracious curiosity about the natural world, has carried Blanchette a long way from her beginnings on the Atlantic shore. “Growing up, we were always dissecting fish. Naturally when I started college I wanted to study biology,” she says. Far from the ocean as a Notre Dame University undergraduate in Indiana, Blanchette turned her scientific attention to freshwater fish. A few summers studying lake food webs in Wisconsin inspired her to enroll in the graduate program at Oregon State University. There, she took what she had learned about lakes and asked similar questions about coastal marine systems. 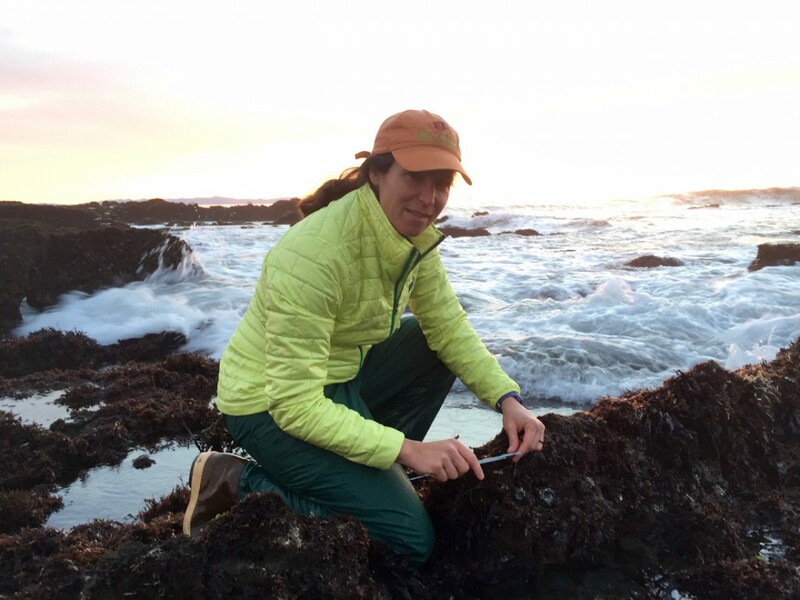 Blanchette became a Californian when she accepted a postdoctoral fellowship at Hopkins Marine Station in Monterey. There, she studied the biomechanics of intertidal organisms—how the shape and design of organisms such as algae and shellfish helps them survive the extreme stresses of crashing waves and dragging tides. UC Santa Barbara’s Marine Science Institute soon snapped her up to research seagrass ecosystems, larval dispersal, and how coastal species utilize nutrients from upwelling to grow and reproduce. 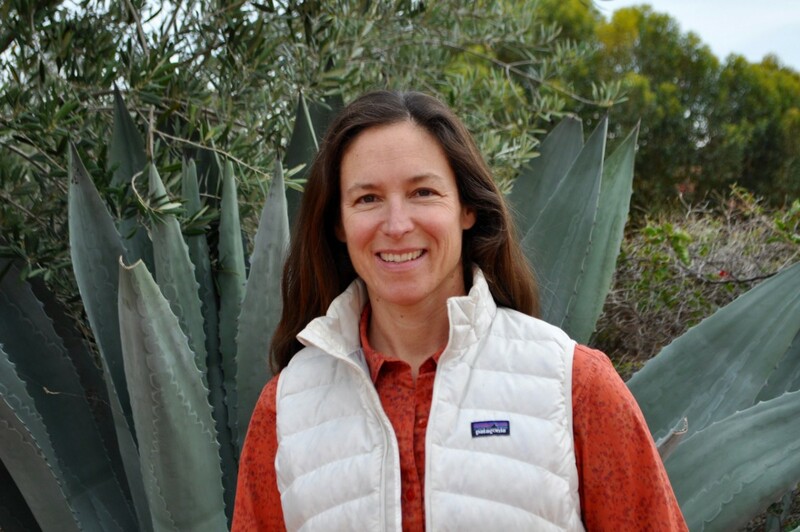 In recent years, Blanchette has broadened her professional interests to encompass science education, and was named director of education and outreach for the Long Term Ecological Research Network Communications Office in Santa Barbara. Once in the Golden State, Blanchette began joining friends on forays to the Sierra Nevada. She found the hiking, backpacking, climbing, and skiing expeditions suited her adventurous soul. “I just fell in love with the area,” she says. Blanchette went on to marry architectural designer and planner Steve Morando. The couple bought property in Swall Meadows, and had daughter Neko, now six. Blanchette’s work at UCSB introduced her to the Natural Reserve System. Over the years, she’s worked a great deal at Santa Cruz Island, but also Coal Oil Point and Rancho Marino. 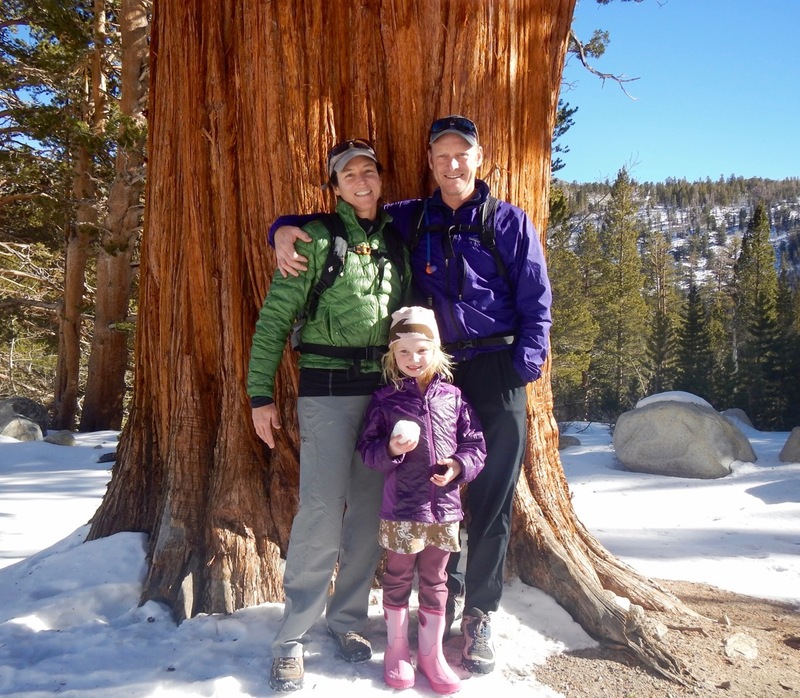 She met Dan and Leslie Dawson, prominent members of the Eastern Sierra community, during time spent at Swall Meadows. Her daughter Neko has already taken one of Leslie Dawson’s perennially popular summer science education classes. “Over the years, I’ve developed a deep appreciation for what the UC reserves offer, especially in terms of facilitating research and being able to investigate ecological questions in the natural environment. It’s really important to have these places out there where scientists come and study the natural world,” Blanchette says.